News of a new bus route will most likely be greeted with indifferent silence, but lobbying for a new train line can keep thousands of potential commuters busy for years on end. It seems that everyone loves rail! This focus is misdirected for a number of reasons. First, it doesn’t make sense to decide on a mode of transport without having a serious discussion about how many people travel and where to. We need separate figures on how many people want to make these trips now and how many are likely to want to make these trips in the future. Then we can think about mode. Second, to focus on the CBD does not make sense. Increasingly, jobs are being decentralized because most governments have a land use policy which is building a hierarchy of centres within cities. Third, a focus on the CBD when the CBD accounts for only a small proportion of jobs overall does not seem to be for the greater good. In Sydney and Melbourne, approximately 10% of metropolitan employment is in the CBD; it’s over 20% in Paris and over 15% in Singapore. Moreover, public transport has to do more than get people to jobs (although commuting is very important) – these other trips are not necessarily to or from the CBD. In systems predicated on travel to the CBD it is often difficult to get from one side of town to the other. 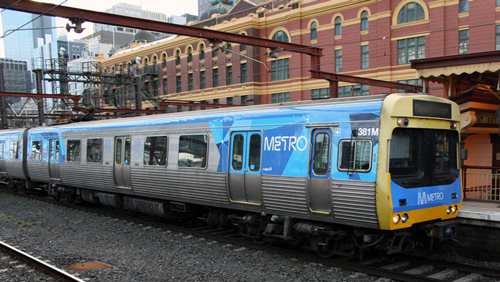 In Sydney, for example, even where the best transport links exist it is difficult to go by public transport from the Inner West to the Eastern suburbs without changing and without it taking a long time. In fact, these type of journeys often compete badly with the private car on travel time and on cost – public transport fares (especially when there is no integrated fare system) being much more than the running costs of a car. To improve this situation, the first step is to consider where services now go, where people go, and where they would like to go. If public transport links the places people want to go – where they go to work, shop, go to the doctor or take the kids to child care – public transport investment can start to shape urban growth as we build along transport routes. Passengers think that modes that share the road with cars and freight – modes like trams and buses – will be delayed and slowed by other traffic, so they prefer trains. But to prefer trains on this principle does not make sense: road-based buses can be given their own right of way, protected from other traffic. They can be as fast or faster than commuter based rail – as demonstrated by the implementation of Bus Rapid Transit systems around the world of which the TransMilenio in Bogota is an excellent example. A second argument is that the rail can carry more passengers than buses. This is not true. 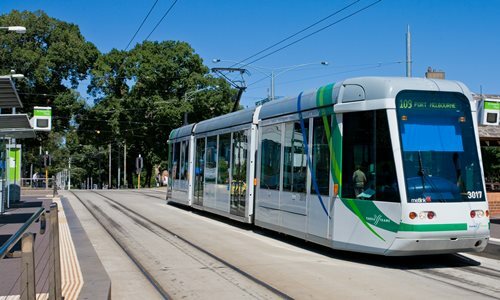 In an urban context, light rail on its own right of way can have a service capacity of between 5,000 and just over 20,000 passengers per hour in one direction. Brisbane’s South East Busway carries 15,000 passengers per hour, Bogata’s TransMelenio’s Bus Rapid Transit carries 45,000 passengers per hour. No-one talks about how much cheaper road-based systems are. US evidence points to infrastructure cost for dedicated buses being approximately one third of light rail costs. So when might rail be sensible over a bus based system? If the existing network is wholly rail then building new connections to this system might be justified, rather than starting with a new technology for a link. But this is rare. Most of the arguments in favour of rail stem from cultural differences.